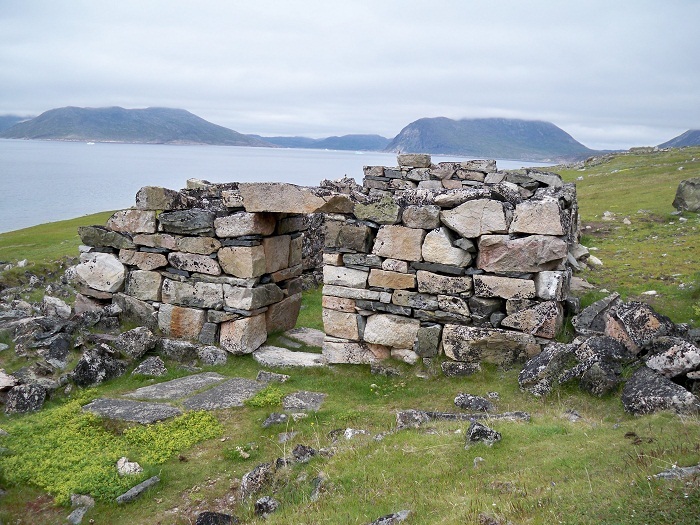 Hvalsey Church was a church in the abandoned Norse settlement of Hvalsey (now modern-day Qaqortoq), in Greenland. 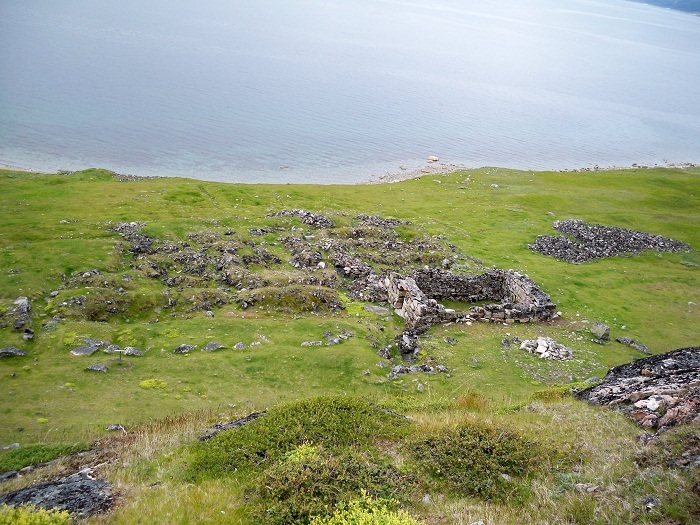 As the best preserved Norse ruins in Greenland, the Church was also the location of the last written record of the Greenlandic Norse, a wedding in September 1408. 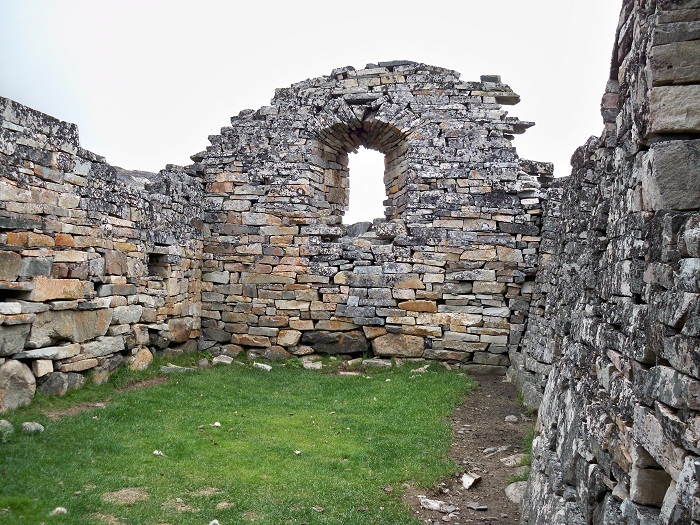 The church house, which was first erected in the early 12th century, might have been built by Scots-Norse stonemasons as similar structures are found in Norway and Orkney. 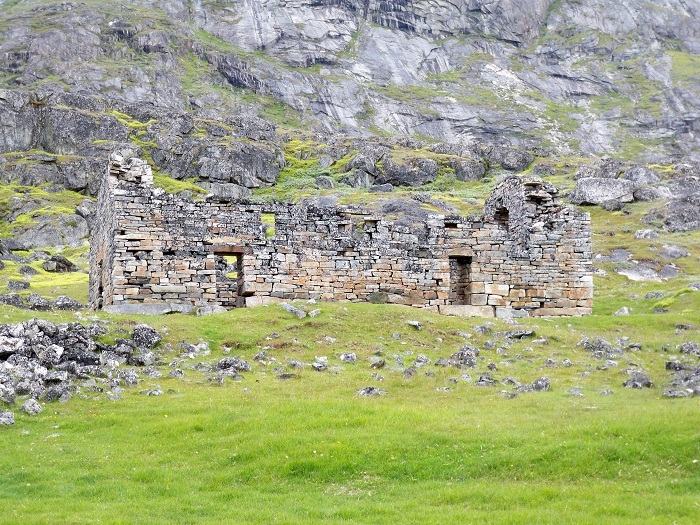 The church might have been maintained due to the site’s royal ownership. The wedding that was hosted in this church was between Thorstein Olafsson and Sigrid Björnsdóttir on either 14 or 16 September 1408. 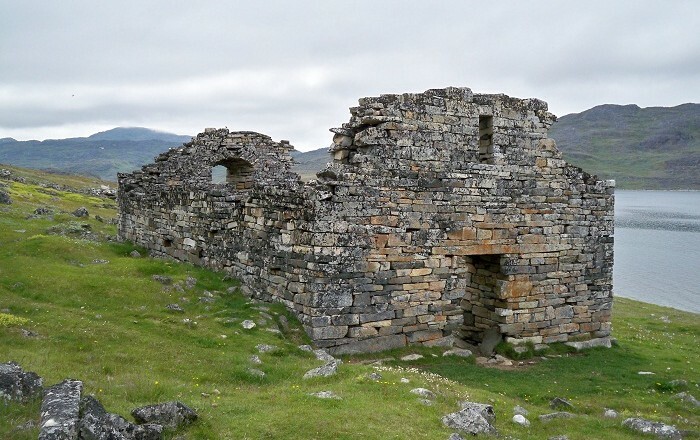 The wedding was mentioned in letters from a priest at Garðar and by several Icelanders, and is the last written record of the Greenlandic Norse. 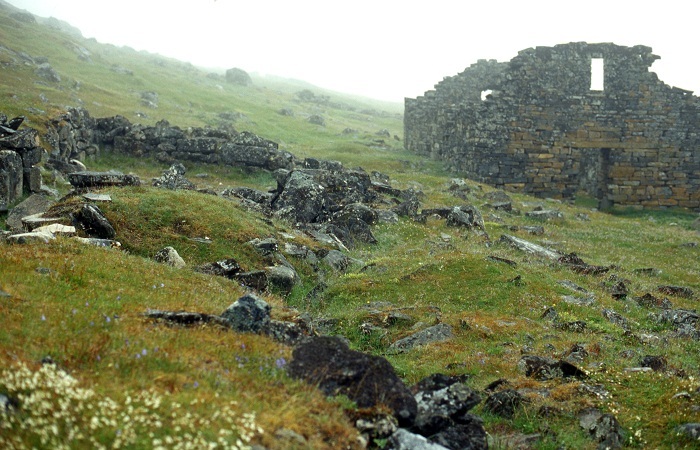 The married couple later settled in Olafsson’s native Iceland. 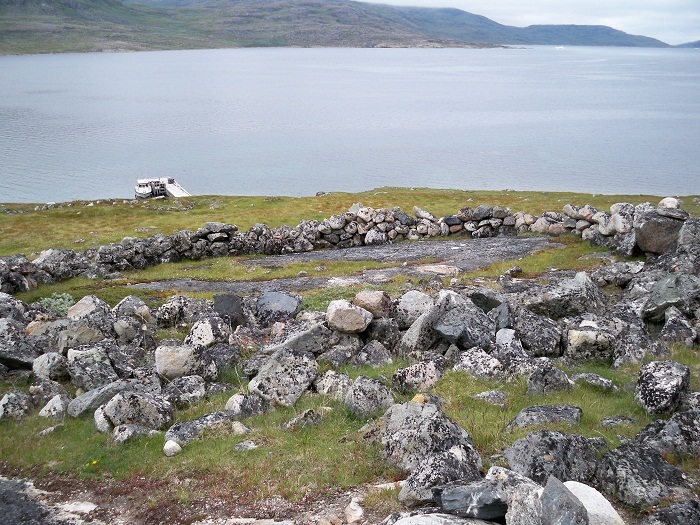 Located on a narrow strip of land at the head of the fjord, around 70 meters (230 feet) from the water, the church was exceptionally well built from carefully chosen granite field stones that in some cases weigh in excess of five tons. Its walls, which are up to 1.5 metres (4 ft 11 in) thick, measure 16 metres (52 ft) by 8 metres (26 ft) on the outside. The gables rise 5 metres (16 ft) to 6 metres (20 ft) from the floor and may have risen 2m higher when first constructed. Side walls, which would have been higher when new, now stand 4 metres (13 ft). The building was plastered with ground mussel shells and would have been white when in use and was roofed with timber and turf. 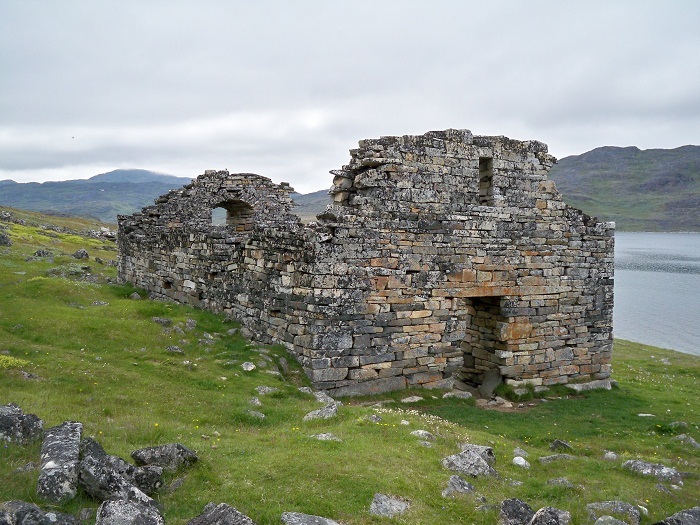 Thanks to the good build quality Hvalsey Church has persisted the elements better than other Norse structures in Greenland. Nevertheless, it has partly collapsed, mainly due to the fact that it was built over a graveyard. Graves were not removed before the construction and this caused the sinking of foundation. 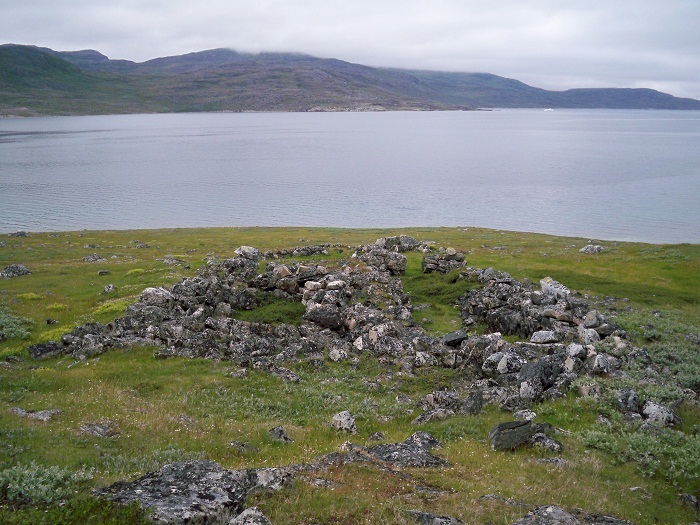 Nevertheless, one of the most important sights in Greenland.